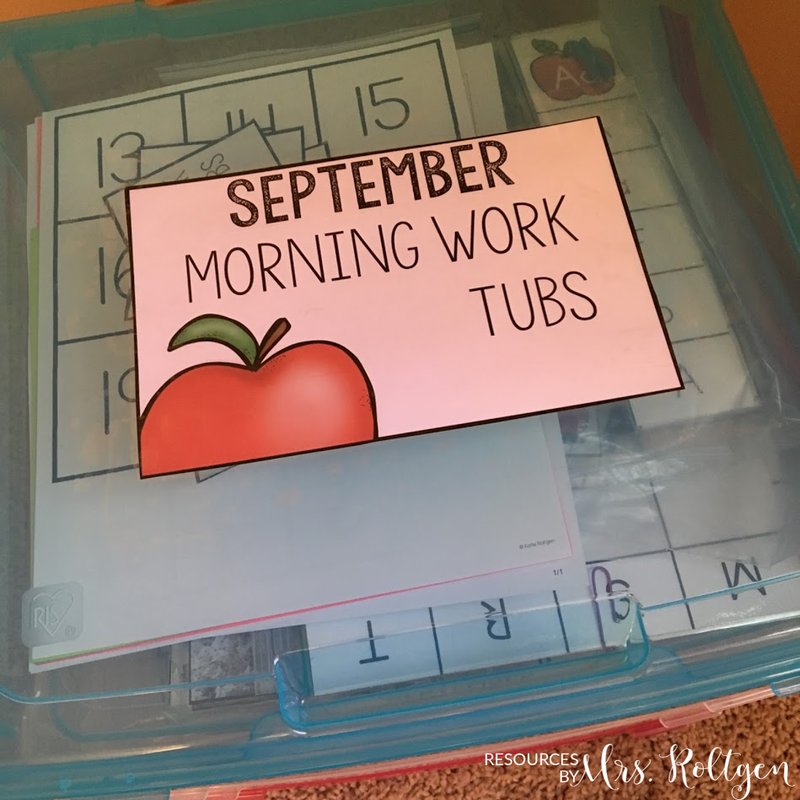 As the new school year approaches, the most common question I'm receiving is, "How do I store my morning work tubs?" This is a great question and there are so many possible answers. 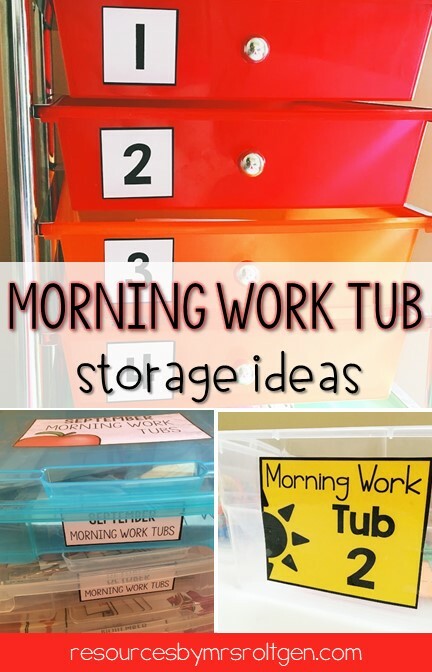 Today, I'm going to share some ideas I have for tub storage. 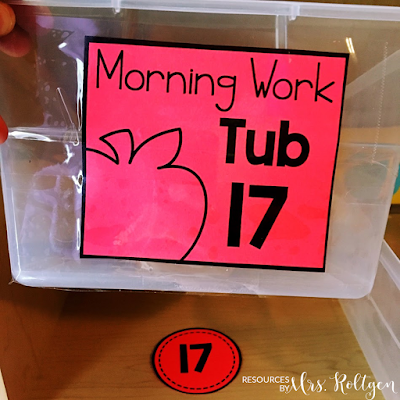 The first ideas I want to share are for storing the tubs that students are currently using. I suggest using plastic tubs or two ten-drawer rainbow carts. I've used a rainbow cart for storage since I use these activities at home with my five year-old daughter, and I like it pretty well (I just use one cart with ten activities at a time). I will say that if you're not careful, the corners of the drawers can crack. 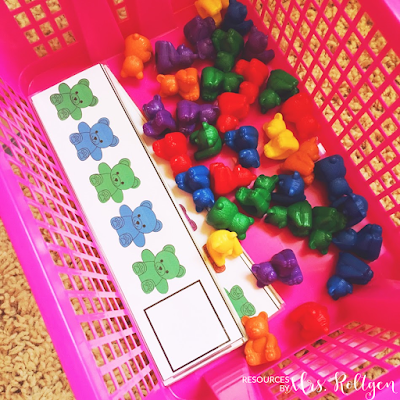 You can find this cart and similar ones at Amazon, Michael's,and Walmart! If you have a little more room for storage in your classroom and you have bookshelves, I suggest using the cheap plastic shoe box-style bins or any other type of plastic bin. 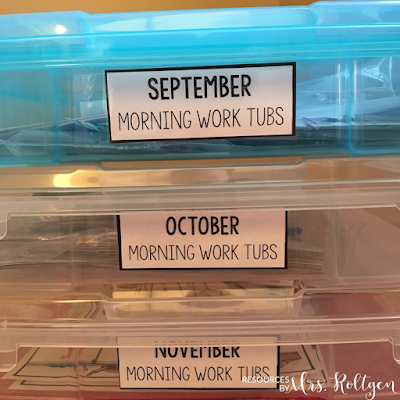 I have a variety of plastic tubs that I've grabbed at garage sales and the Target Dollar Spot, so anything you can find will generally work. I got my plastic shoe boxes at Target and they're available at Walmart as well. 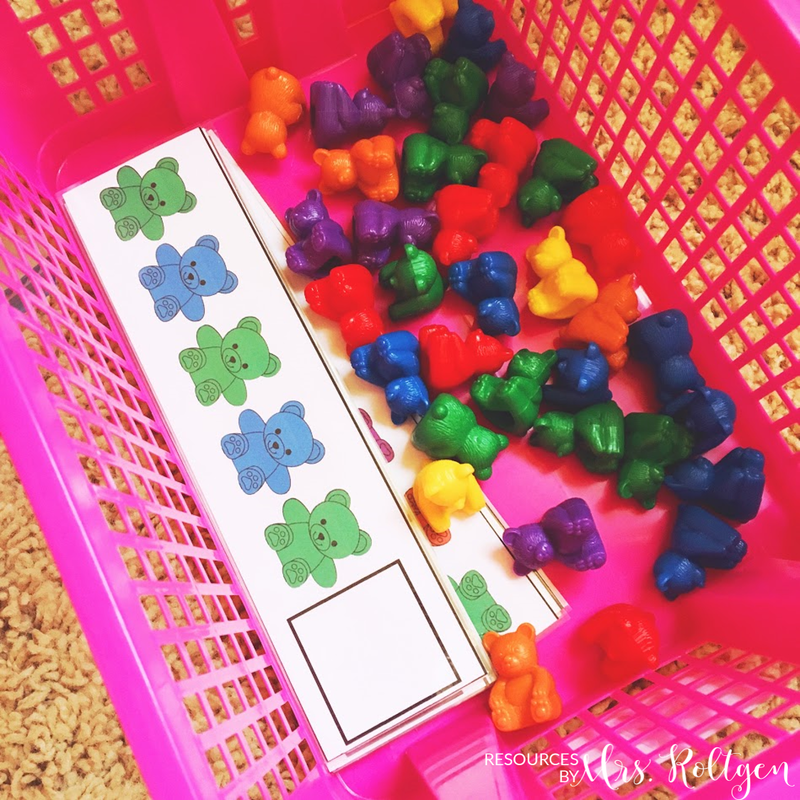 I have several plastic stacking baskets from Really Good Stuff and I love that they're really colorful and pretty! If you are looking for a fun way to add color to your classroom, they are a little pricey, but I love the vibrant colors. 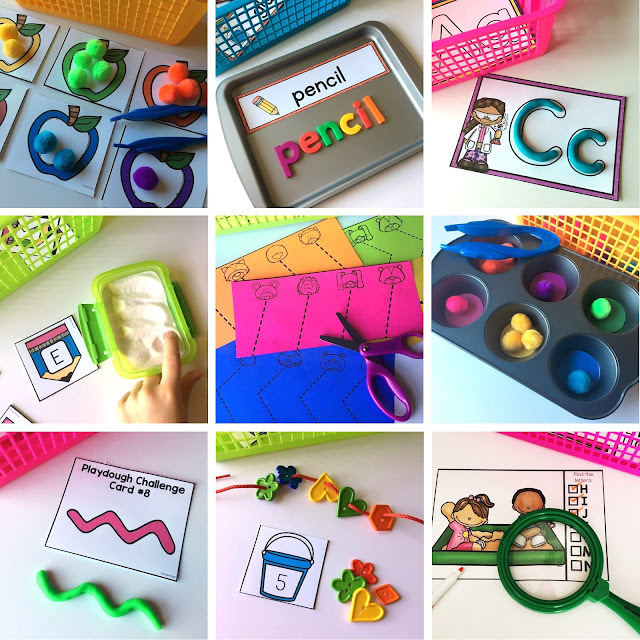 A common question I receive is about how to store the activities when you're not using them. 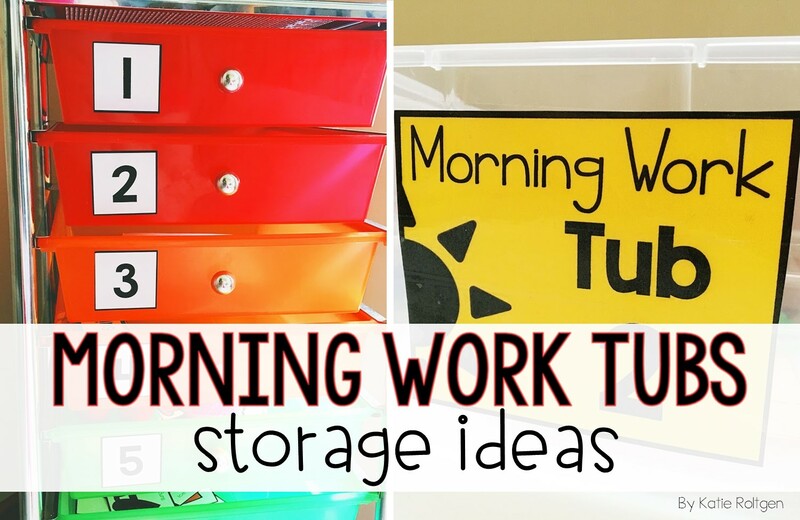 Again, it depends somewhat on they space you have for long-term storage in your classroom. 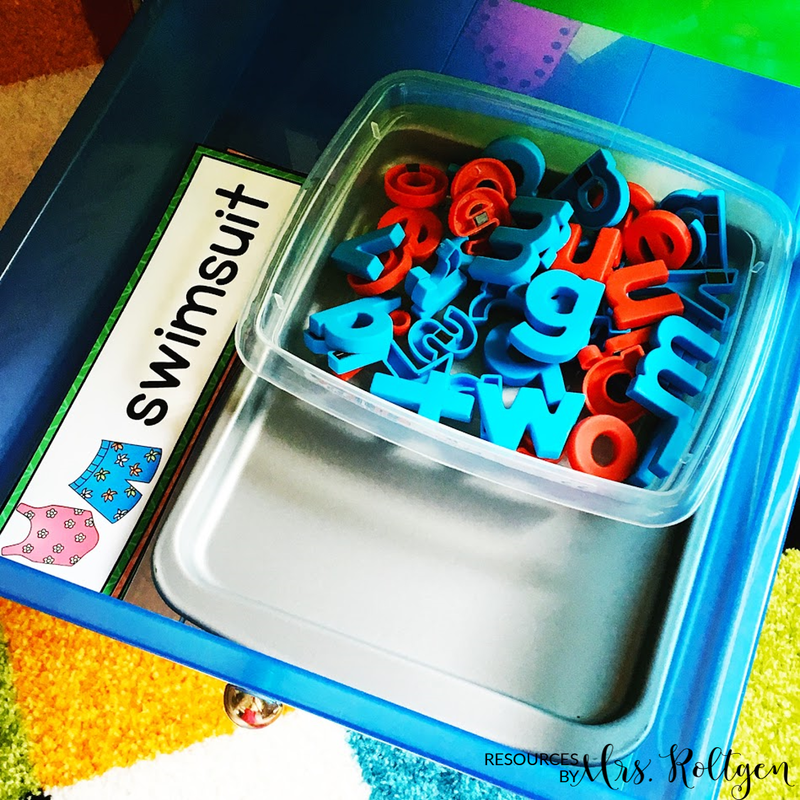 As a plastic organizer addict, I love the 12x12 plastic scrapbook organizers. 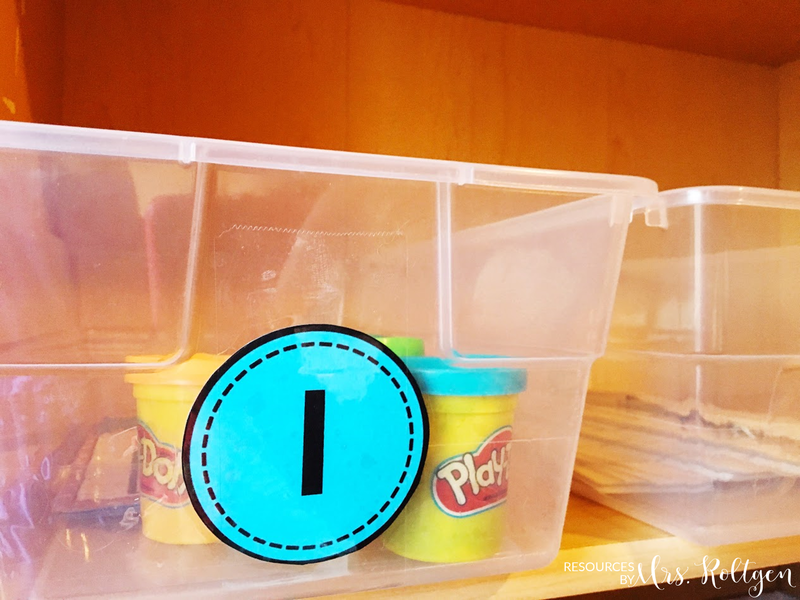 Each container holds one month's tub activities pretty well. They can be found at Michael's and be sure to watch for them to go on sale! 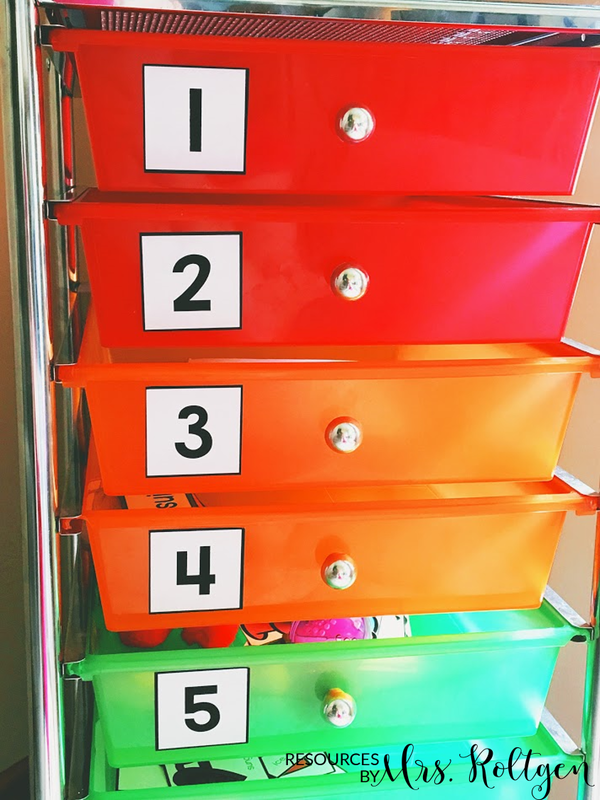 If you're in a pinch, I bought this six-pack of organizers on Amazon a few months ago and they're less than $4 apiece AND Prime-eligible. Win-win! 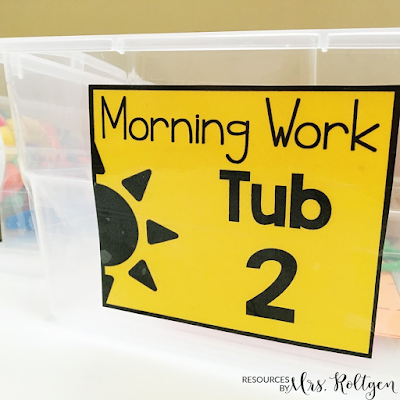 Another question related to storage is, "Where can I find labels for the tubs?" 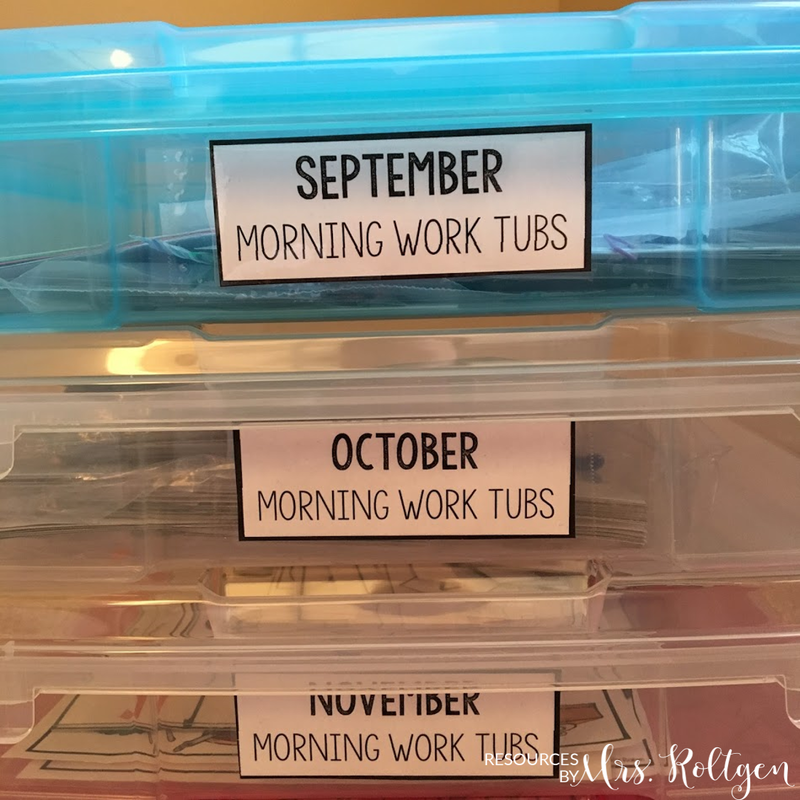 I made a variety of small and large labels for the tubs, as well as labels for monthly storage. The labels are included in the Morning Work Tubs Bundle on TpT. If you bought the bundle awhile ago, be sure to re-download it to get your labels! 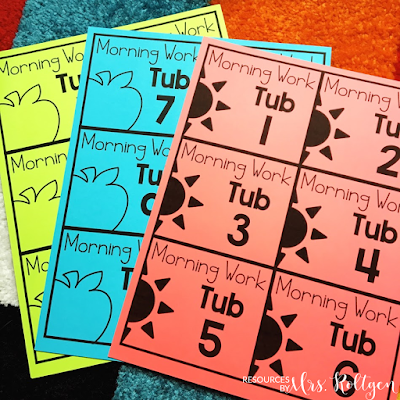 I also have the labels available for free in my Morning Work Tubs for Kindergarten Facebook Group! If you're not already a member, I would love for you to join! If you download the labels, here's a classroom management trick: If you're using tubs placed on a shelf, label both the tubs and the shelf! 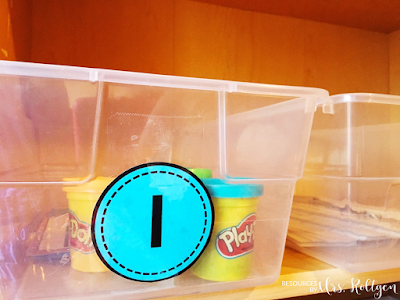 Use whichever label you want for the tubs, and then use the smaller labels on the shelf. 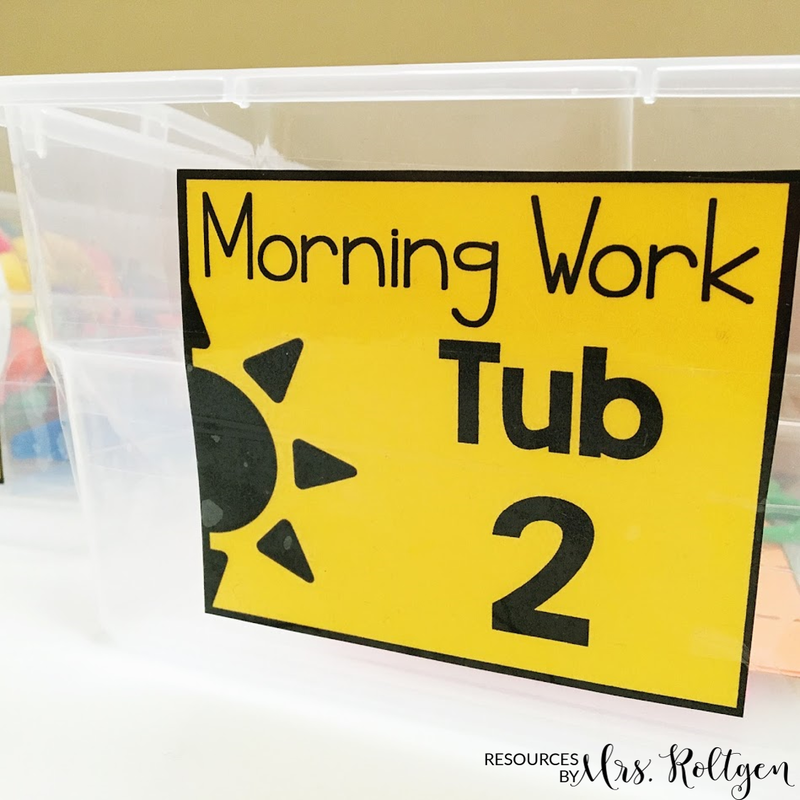 This will help your little learners know right where to return their tub! The labels are all black-and-white, so feel free to print them on colorful paper to add some pop! 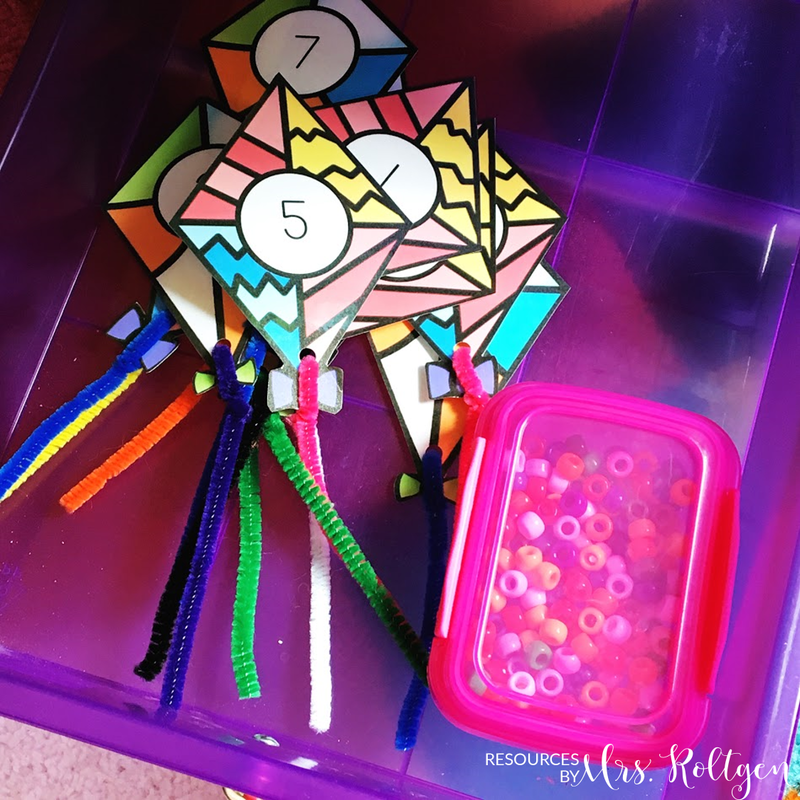 You can even match them to your classroom decor or theme! I hope that I've answered some questions regarding morning work tub storage and maybe provided a little inspiration as well. If you have any questions, please let me know!